This is the 11th article in a series looking at the potential cannabis market in states that are rolling out new marijuana programs. The first eight articles examined states that approved recreational or medical marijuana initiatives in the 2016 election. This new round of installments focuses on states that have approved new markets through legislation. Click here for previous articles. Ohio’s medical cannabis program is expected to be large, generating up to $400 million in annual dispensary sales several years down the road. But possibly stringent regulations governing the number of dispensary licenses could limit patient access and curb the industry’s growth potential, industry officials said. Ohio Gov. John Kasich signed legislation legalizing medical cannabis last June, making the state the 26th to join the MMJ fold. The new law, which took effect last September, also put the country past the halfway mark for states that have approved viable medical cannabis programs. Ohio has more than 11 million people and ranks seventh in population. An extensive conditions list should be a boon for the market. And out-of-state entrepreneurs will have a crack at securing a license because there is no residency requirement. But uncertainties remain given that state regulators are still writing the rules. Dispensaries aren’t likely to open before late 2018 – provided all goes as planned. According to Marijuana Business Daily estimates, Ohio should generate between $200 million and $400 million in annual retail sales via dispensaries once the market matures. The patient pool is expected to reach 100,000 several years after the first dispensaries open – and could reach 200,000 down the road. Business opportunities are emerging for cultivators, dispensary owners, software companies, packaging and testing services and consultants. “I think there’s a real opportunity to have a very, very large marketplace here,” said Patrick McManamon, CEO of Cleveland-based marijuana insurance firm Cannasure. On the flip side, however, an initial proposed cap of 60 dispensary licenses could mean storefronts can’t meet patient demand. Also, regulators have proposed steep license fees for large grows, which could limit that sector to the most well-heeled businesses. The core business opportunities lie in cultivation, said Brian Wright, executive director of the Ohio Cannabis Association. The state also recently announced it needs a contractor to implement a seed-to-sale tracking system. He added that security offers an untapped market, given that firms have been slow to emerge in this field. Among ancillary companies, McManamon sees opportunities for packaging and testing services. Lawyers and consultants also are emerging as the market develops. “People are just starting to pull their heads out of the sand and see what’s going on,” he said. Cultivation licenses would be divided into four geographic regions, with three Level 1 and three Level 2 licenses in each section. All cultivation must be done indoors. Smaller grows could be dedicated to cultivating custom hybrids for specialized treatments. License caps for testing labs haven’t been determined. 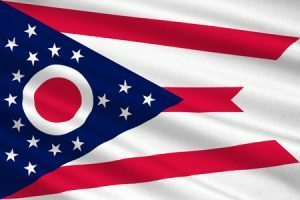 The Ohio Department of Commerce must finalize fees for cultivation, processing and testing licenses. It has proposed a $180,000 license fee for large grows on top of a $20,000 application fee. The Board of Pharmacy must finalize fees for dispensary permits. License holders can own one cultivation facility. But that doesn’t preclude them from owning dispensary or processing licenses. Wright contended the number of dispensaries will need to expand quickly beyond the initial 60. “Unfortunately the state is using very conservative numbers (for the patient pool,)” he said. He sees the patient pool as potentially 2% of the population, or roughly 230,000 people. The state is estimating around 120,000. In a state with 88 counties, he estimates that about 200 dispensaries will be needed. “We don’t need to see lines wrapping around the corner or people driving long distances to get the medicine they need,” Wright added. While there is no residency requirement, any Ohio ties are expected to help applicants. McManamon anticipates a provision in the application benefiting minority applicants. Application details haven’t been ironed out. Rules must be in place by May for cultivator applications. Applications should come out at that time. Prospective cultivators will have a 60-90 day window before the state accepts applications. Cultivation license winners will be announced in September. Rules governing the application process for dispensaries and processors are due out that same month. Applicants will likely be scored based on merit, “which bodes well for those who know what they’re doing,” McManamon said. He predicted the best-case scenario for dispensaries opening is the third quarter of 2018. Both Wright and McManamon expect reciprocity for out-of-state cardholders, but that’s not set in stone. Wright anticipates reciprocity will be rolled out on a state-by-state basis, with Michigan the first state. A survey issued at the end of 2016 questioned the likelihood of Ohio’s doctors to recommend MMJ. However, McManamon said he doesn’t “think it’s going to be as big of a problem as most people think” – provided the rules don’t make it difficult for physicians to recommend MMJ. Ohio does have a serious problem with opiate addiction, including heroin overdoses, McManamon said. Potential business owners could face financial barriers to entry. If large grow licenses end up costing a total of $200,000, that could price some people out. Net worth or liquidity requirements also have been discussed. “That’s probably going to keep some people away,” McManamon said. Overcoming the stigma of medical cannabis is a large hurdle in Ohio. Certain municipalities have already enacted temporary moratoriums. However, communities that have been struggling from loss of manufacturing jobs are more agreeable to it. Wow, what a mess from the get-go. The estimated canopy will not be enough for the demand, the number of retail stores can not service the demand. Ohio has great pride in itself but not taking lessons learned from the other States, years ahead of them, is down right ignorant. Looks like regulators are assuming a lot of wealth the proforma gangsters love to lay-out at the beginning, collect their fees then disappear. Washington State LCB had embarrassing interactions with the proforma gangsters, looks like Ohio is not any stronger in it’s regulatory business ethics. The simple question that those with liberty, freedom and a fair mind need to ask? With these special fee’s on Cannabis. Are they going to raise the fee’s to these industry killing amounts? if not, will they answer why we should not see these rules as purely Discriminating? Why should Booze and Pills be allowed to be on every corner? People die DAILY from these poisons but we are supposed to be this limiting on a medicine that has ZERO deaths, (even while driving as every test taken shows NO rise in fatal accidents due to Marijuana, 2 studies have even stated that driving IMPROVED). The people that make money from marijuana from being illegal point out increases of marijuana found in drivers but leave out the fact that the test they use does not show impairment, only that the driver had used marijuana in the last month. for those with a brain, it is clear. We have too many in AMerica that care nothing about actual healing or treatment of the sick and dying. They only care for the Corporate Profit of whatever corporation they get bribed from, (opps, get free speech from). For those that have lost a loved one to Cancer? IF? you understood the truth? You would be as mad as I. i lost a pregnant wife to cancer, the government knew and hid the truth. my current wife was healed from her cancer with Cannabis. this is why i volunteer to let YOU Understand the Truth. and to shine the light of truth on those soulless ones, that only care about corporate profit. Ohio could be one of the best markets in America. The licensing round will have fierce competition including Scotts Miracle Grow.